The future of work will force changes on us all, whether we’re ready or not. Will the Augmented Era push people over the edge—far beyond their emotional and stress capacity? Or will it enhance individual productivity and wellness, and make every individual as successful and as happy as the efficiencies it creates? Ultimately, it’s up to HR to decide. We asked everyone who’s impacted by HR—students, teachers, futurists, new hires, mid-managers, business leaders, and HR execs—from every generation, across the globe. Does HR have a role in the future of work? How does HR need to be reimagined, to ensure a brighter future for all? 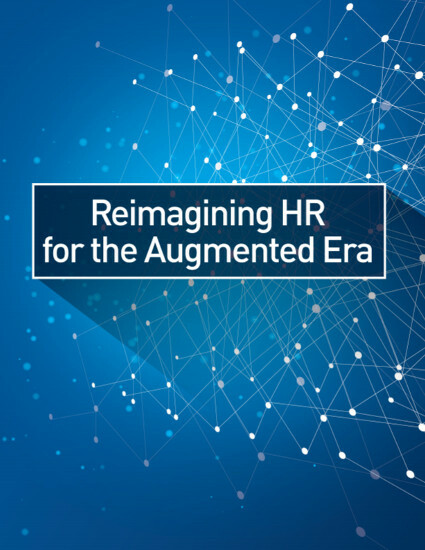 This study reveals three discrete areas that need transformation, and offers three recommendations for reimagining HR and charting a new direction for a new era. We hope this study and its results will ignite new and different conversations.